IM NOT A REGULAR MOM, IM A I HATE PLAY-DOH, AND DONT YOU - ProudMummy.com the Web's Community for Mums. 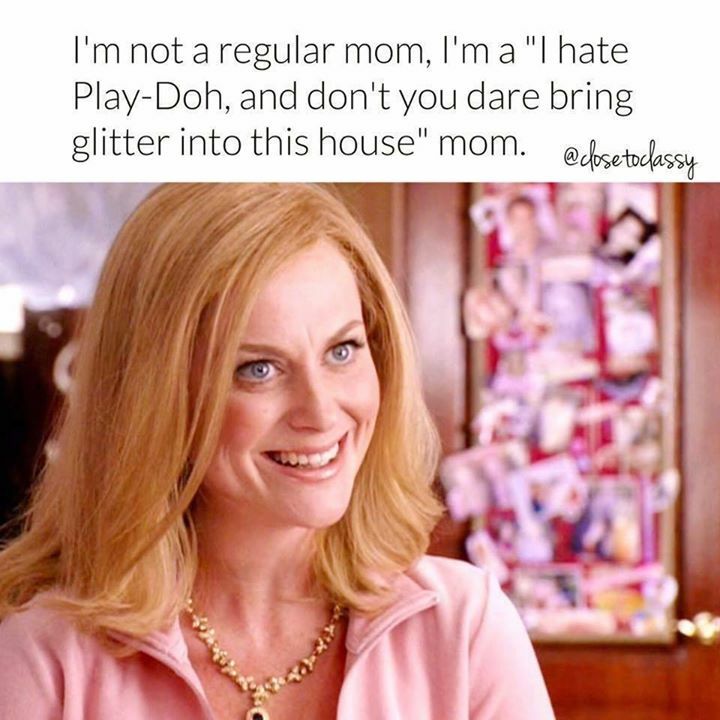 I'M NOT A REGULAR MOM, I'M A "I HATE PLAY-DOH, AND DON'T YOU DARE BRING GLITTER INTO THIS HOUSE" MOM. I love seeing the grandchildren with play doh! Glitter! Glue, cutting out and even pastry when they are helping me bake. Hmm that's me 3 boys and 1 girl I'm like NOoooo!!!!! I love my kitchen table being full of play doh and glitter! Linda Pike my face when you bring mad big stuff for Freya! Louise Bermingham see I'm not the only one! Yay, that is me too!! Timothy Brooks who is This? Erin Mc Bride this is me!! Julie Goody Deborah Mc Ardle damn right!! Sheila Drury Parkin this is me!! There's always one mum who says "I can make Play Doh". I think make it, play with it and keep it at your house 🏡. Ah that's me...messy play at home with mummy...nanny does the other stuff hahaha !! !